This area includes the pine forests of the Southeast as well as some of the more hardwood dominated forests of Tennessee and Kentucky. There is a small federal presence and a presence of both small and larger private industry. This area is characterized by its Wildland Urban Interface (WUI), with more urban areas than the national average. There are some constraints regarding smoke in the WUI. Example of a Typical County — Hardin County, Tennessee: This heavily forested Tennessee River county has some federal land, but is mostly privately owned. These counties have a history of using prescribed fire and could expand or maintain use of this fuel management option. There may be an active forest products industry nearby, which could support fuel treatments. Individual homeowners can be proactive on home defensive actions. 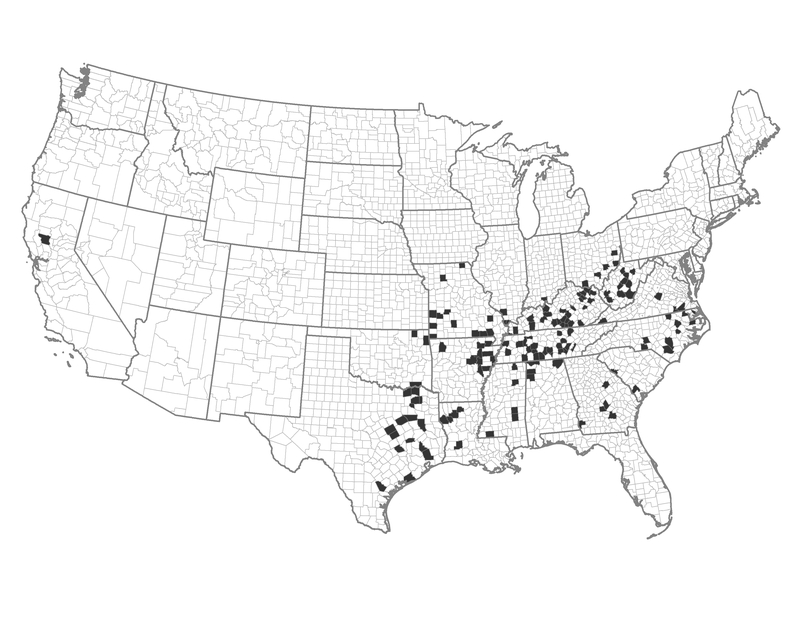 These counties could adjust building and construction codes in all areas. Human caused ignitions are a problem in these counties. Reduce human-caused ignitions through enforcement or outreach. Protect structures and target prevention of ignitions.